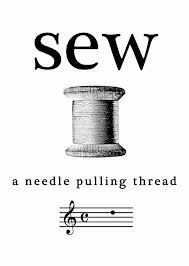 Homespun Stitchworks..... For the love of vintage: That Friday feeling .. I am loving my hand stitching and being back this week but today is going to be a challenge because I am so excited about a few things, firstly we are off to the beautiful Cotswolds to the vintage fair at Toddington this weekend and out with friends in the evening it is going to be such a beautiful weekend and to catch up with such wonderful like minded people is the cherry on top! The fair is at Toddington but we are out for a meal in the most picturesque town of Broadway. We did this last year and it was such fun we decided, lets to it again. The second thing is we have decided to go back to America for our holiday this year we need the break so we are going to book our flights and go for 20 days ..... Meet up with our friends over there and generally have a total relax! I am excited to the point my tummy is doing little butterfly movements all the time and the smile will not come off of my face! We have a friend to house sit which is fabulous and so our birds will get fed and watered. This year we were not worried about hanging baskets or flowers because my husband put in an irrigation system so everything gets watered three times a day and it is really fantastic. stitchery and not get too distracted by my butterfly tummy! I finished the words on the quilt pieces and the Christmas sampler and now I have embarked on another piece. I have to make a trip to the photographer and then on to the framer next week but I would like to get another piece finished. I need to settle down. No more coffee for me today I am already hyper as it is ... grin! I have had a look through some bits to add to my list for the weekend in the Cotswolds so that is now sorted. From such a difficult start to 2017 I feel it will end on a high. Mum is settled and well taken care of. I have started to sleep again soundly knowing this and we have so much to look forward to. What started as such a bad year for me and my family has smoothed its self out and now we can go away. Last year we could not go because of it all but now, well things are remarkably settled. I will let the three lucky winners know next week on Thursday so you have nearly a week to enter. I will be reporting on the fair for you and the blog will be going out on Tuesday next week after I have collated all the photos for you. My thoughts are turning to an Autumn state of mind not only because of going to see New England and New Hampshire in the Fall but because it has a slight feel in the air here about it. So I am starting a Autumnal sampler today and I am really going to enjoy that. Well that is it for today and sorry its a little later than normal but it has been an exciting start to the day. Have a wonderful weekend and I will see you back here on Monday morning. Thank you Julie it is such a relief, she still has her moments but they are fewer and to see her smile and feel safe well that is all I need to help me be happy too. Oh wow no wonder you are so excited. Lots and lots of lovely things to look forward to and you deserve it. Thank you! yes I am over excited as you can imagine and I have this lovely weekend to look forward to meeting up with some great friends and a vintage fair ..... What more can a girl ask for? I am in full prep for our holiday and part of it is the build up and the excitement too. For now though it is about stitching and getting my basket and list ready for going tomorrow. I love New England in Autum I am excited for you just thinking about it. Just picked this up.... Oh what a show it was. Lists went out the window and treasure hunting was on everyones mind. Blog about the show to follow on Tuesday.